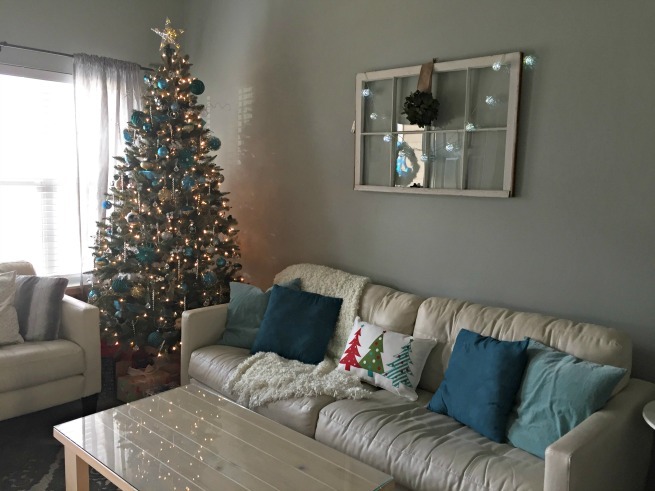 The tree was the same tree as last year and I opted for the same color scheme of turquoise, silver and gold. 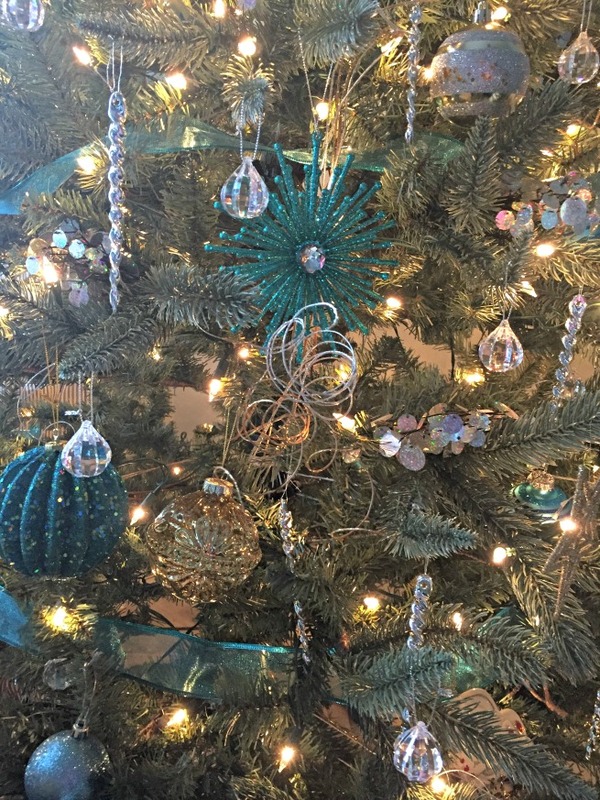 I added some larger turquoise ornaments this year and some silver and gold filler ornaments to make it look more finished. The Christmas tree pillow was a recent purchase from Kirklands. As were a few other new things. I really love that store and they have great prices! The star in the middle and the "striped" tree to the right of it were new purchases this year from Kirklands. Last year I didn't really know how to display my snowman collection. 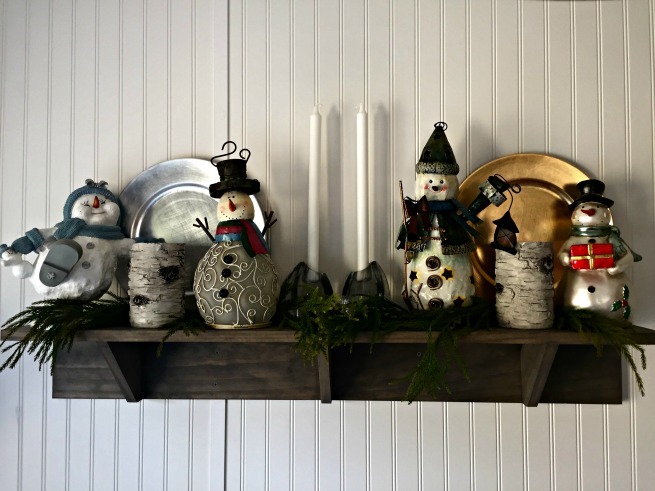 This year I chose to display on the rustic kitchen shelf that M made and just added a bunch of stuff until I thought it looked good. HA! 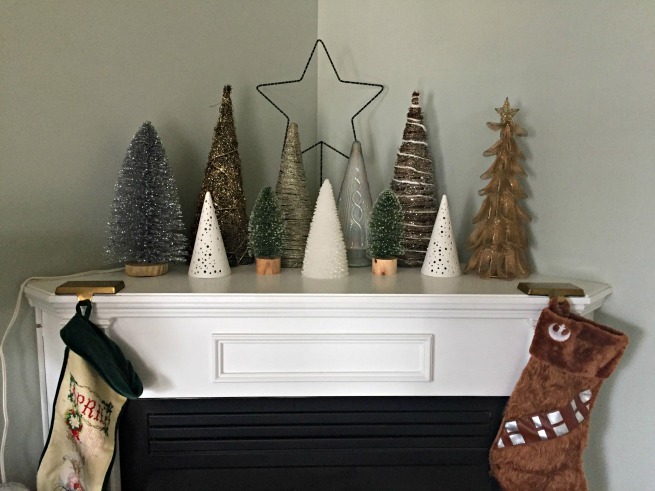 I think the look of the shelf plus the candles and greenery give it a rustic, farmhouse-y vibe. Maybe? 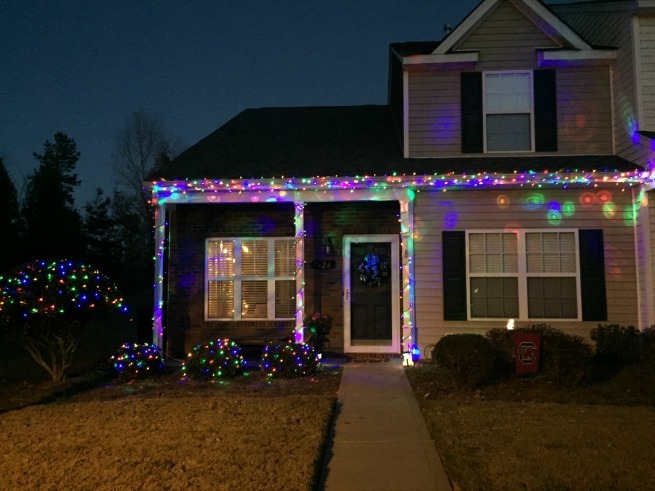 The outside of the house is decorated! It looks like we only did half of the large bush on the left but the bush is actually trimmed like that. Like a mushroom shape so we covered the green part. It just looks weird in the pic. I left the outdoor decor scheme to my Director of Outdoor Illumination (that's what M appointed himself as) but I think it turned out really pretty! I love nothing more than to turn on the Christmas tree as I get ready in the morning and just look at it. It's so gorgeous! I wish I could keep it up year round. 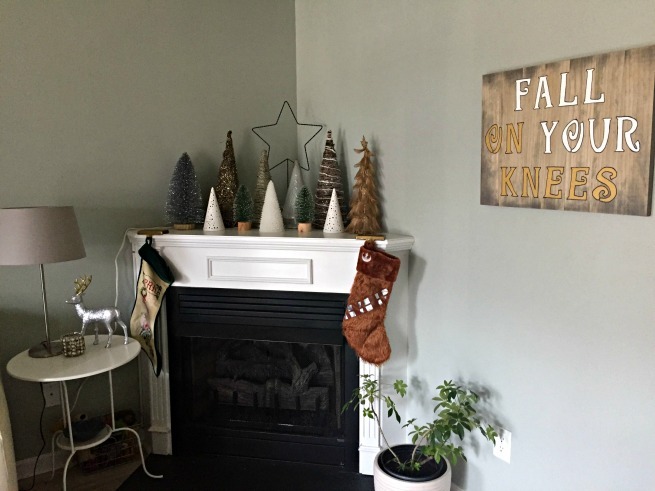 I especially love your collection of trees on your mantel!